Recalling 27,000 cars is hard when you make 11,000 a year. You would think that if you were plunking down $193,500 for a luxury grand touring barge that the people building the car would throw in properly torqued battery cables as standard. 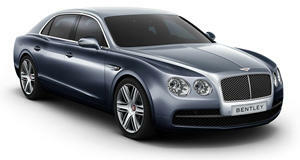 But this wasn’t the case for Bentley at its Crewe, England, assembly line. As a result, the British automaker is now recalling 27,640 Continental GTs, GTCs, and Flying Spurs that were built between February 2011 and June 2014. It is estimated that 7,778 of these affected cars reside in the US. A loose battery connection may not sound like a huge inconvenience. Many would assume that if it comes undone, the only major problem would be the champagne in the refrigerator getting warm, but in an era where cars rely more on electricity, other issues may arise. Electric steering, brake assist, traction control, and airbags are all things that could be hindered or completely disabled if a car looses power. A loss of electricity can cause a crash and be a factor that compounds injuries due to inactive airbags, something GM found out the hard way. 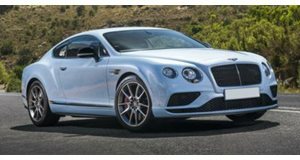 Bentley’s parent company, VW, has recently become the face of automotive scandal, so while this may look bad, it’s a step forward to issue a voluntary recall to clear any problem up.